$3.00 donation each showing – popcorn & soda available. Based on the classic Victor Hugo novel. Friday Jan. 25 at 7pm and Sat. Jan 26th at 7pm. 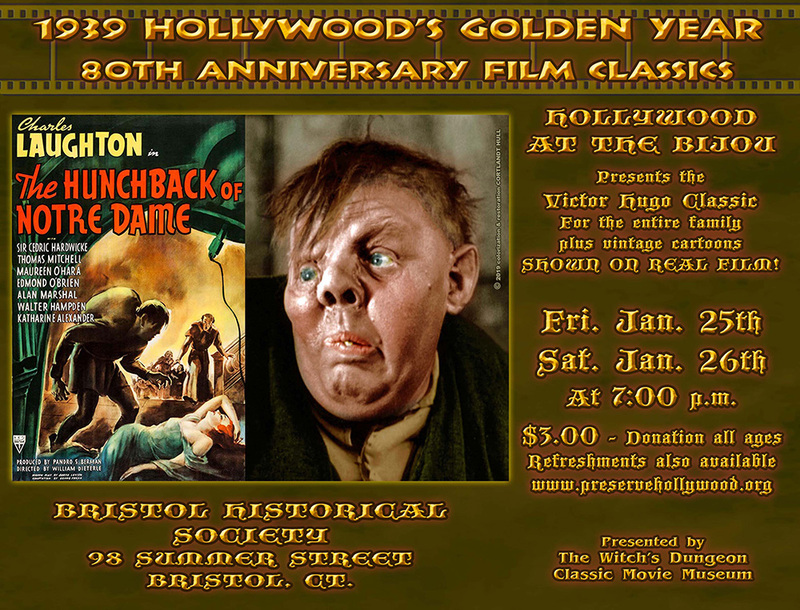 Plus a life size bust of Charles Laughton as the Hunchback will be on display, bring your camera! Plus vintage cartoons, all on REAL FILM!